Piano shipping - How to pack and move a piano abroad? There are many international piano movers out there. The question is can you trust all of them? We have the experience and right attitude. Contact us today and check our references! Piano is a very important and delicate instrument used in playing music. It is used in a number of environments such as churches, schools, bands and musical theatre. Besides musicians, there are a number of people that have this important instrument in their various homes. If you have any piano to move from any environment whether from a church, theatre or your home, we are the right piano mover for you. We have a team of well trained staff who can handle every aspect of international piano moving including preparing and packing of pianos for transportation. 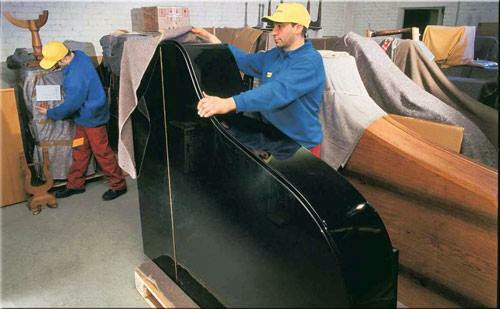 We know how delicate baby or grand pianos are. To prevent any damage to your favourite instrument, we will ensure that your piano is wrapped and packed in a cushioned box specifically made to suit your piano size. The box is labelled and sealed for easy unpacking and re-installation. We don’t just use any type of timber in our cases and boxes. We use only Forestry Commission approved timbers in packaging our pianos for shipping to Australia. Besides, we are clued up on the goings on in the industry and thus our experts will always comply with the International law regarding timber packing. If you are importing or exporting keyboards and pianos and you have acquired a huge number of pianos, we have the necessary equipment and most suitable freight and vehicles to transport your consignment to the right location making sure that your items get to you on time and in good conditions. We feel glad to tell you that we will meet or even exceed all your requirements as far as piano moving is concerned. Our piano removals experts are capable of taking care of all custom formalities, documentation and all freight handling both in the country you are moving the piano from and to the country you are taking it to. If you do not want to take your piano with you to Australia and you do not have time to sell it we can provide you with a storage space. You can sell your piano while you in OZ and let us know so we can delivery it to the buyer. We can also help you with selling your musical instrument on our piano for sell auction. Just contact us to find out more. In case your new home or theatre or church is not yet ready for you to place your piano, there is no cause for alarm, you can avail yourself of our piano storage services. We have well equipped storage facilities suitable for keeping pianos both here in the UK and in other countries overseas where we offer piano delivery services. Our piano storage facilities are very large and can accommodate more than 1000 pianos at the same time. So, no matter the number of pianos you want to store, just let us know and we will make arrangement for that. Besides, our storage facilities have necessary equipment for protection of your piano. Temperature controlled features are installed to ensure your piano is not affected by temperature. This may save you some money on piano tuning costs. We have also put in place security gadgets to make sure nothing happens to your baby grand piano during the period it will be with us. But we don’t rely solely on these security gadgets, we have also fortified our storage facilities with trained human security personnel with license to carry arms. There are security dogs aiding them to execute their functions very well. So, there is nothing to fear if you keep your digital piano in our storage facility here in the UK or any other location. We keep record of all the upright pianos brought in our storage facility. They are rightly placed in our facility after they have been charted and labelled for proper identification. 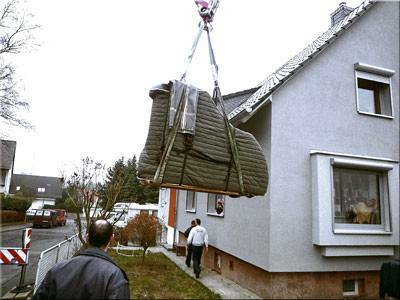 We know that there are other UK international moving companies offering piano removal services overseas. But we have distinguished ourselves from them in a number of ways. First, we try to keep to our promise of piano delivery quality services to our clients abroad and we have mapped out strategies on how to do that. We only work with experienced keyboard and piano packers and people who have never been associated with any crime before to ensure better protection and security of our client’s property. We are insured and the goods in transit insurance covers all your pianos (provided on request - please ask). Though we will always do everything possible to avoid damages and loss but we don’t overlook the fact that accidents and unforeseen situations can cause damages to your piano or lead to loss of keyboard. This is why we get our business insured. 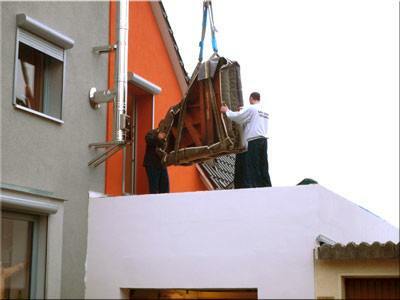 We are not like other piano movers that will not disclose all their charges to their clients. We don’t hide anything from our clients. All our piano shipping costs are shown in our quotation. Besides, our services are very affordable when compared with those of our competitive. We are always open to negotiation. Our experts are very friendly and will provide you with useful shipping advice and tips on what to do in order to relocate your item. 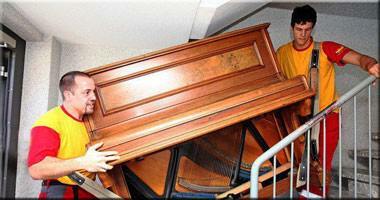 Here are some necessary precautions to take when you are preparing your piano for moving. Make sure your piano is properly wrapped with blankets, bubble wraps or any other suitable materials before it is loaded on the truck for moving. Covering and padding your piano protect the surface of your piano so that it will not be scratched during the relocation. By properly folding and padding your piano, you are also protecting other furniture or surfaces in your home so that they will not be scratched as you are moving your piano out of your home.